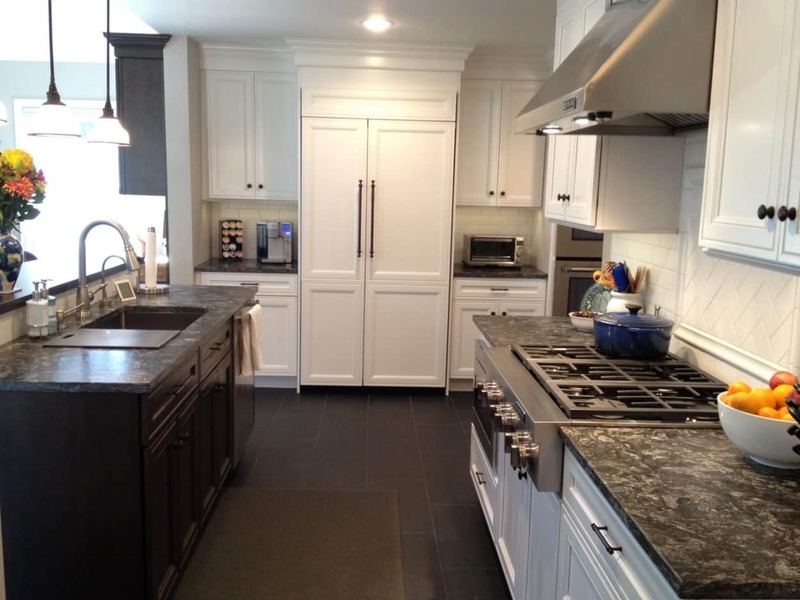 New Jersey kitchen remodeling trends come and go. Cozy and rustic was all the rage for a couple of years. Then modern and stainless comes into favor. As a homeowner, it can be hard to keep up with all these changing preferences. And the last thing you want to do is fork over all that money for a NJ home remodeling and then have to replace the style a few years later. White kitchens save the day here. Whether they are paired with black for a classic black and white look or warmed up with dark wooden tones, white is here to stay. It is the epitome of timeless and classic. While it might at first seem like your style options are limited with such a basic color, this is not at all the case. Many options for white kitchen cabinets exist, from whites that are cool tones to whites that are warmer tones – creamy neutrals to grey whites and everything in between. You will be surprised at how many different types of white kitchen cabinets are available. The hardest part may just be which one to pick! Now that you are aware of how many options are out there for white cabinets in may seem overwhelming to select one. Look at a large sampling of the different choices available, lay them all out side by side – right away you should see some you can exclude based on the color direction you have in mind. Then think about how the remaining choices may pair with some countertop options, if you color scheme is close in color, like a white on white, it’s best to view these samples against the actual countertop choices as well to ensure the two do not clash. Then take your final choices along with you countertop samples to the tile store to select the tile backsplash, here is where all the items will come together to create a beautiful symphony of color and textures, make sure to select a tile that pulls it all together. Here are two of the most timeless styles you might want to try. Black and White: Adding black accents (such as appliances or tiling) to a white kitchen instantly imparts class to the room. Or, opt for a tiled black floor and keep the rest of the kitchen pristinely white. Regardless of what you choose, this is sure to be a stunner. Accent with Wood: Using wood accents in your white kitchen is the perfect way to warm up the room. Try a wood trim to your countertop or add solid wood trim around the windows in a dark, saturated color. Need help choosing a white for you kitchen? Give us a call at 973-636-0100 to get started.